Use a good sized heavy-based saucepan with a tight fitting lid for this recipe. Remove the pan from the heat when the popping has all but stopped. This will make enough to fill two sandwich bags, freshly popped corn is tastier and healthier than any crisps or savoury biscuits and perfect for packed lunches and picnics. Mix together the spices (and salt if using) in a small bowl. Put the pan over a medium heat. Add the oil and 3 individual corn kernels and put on the lid, as soon as the first kernel pops add the rest of the popcorn and put back on the lid. Heat, shaking occasionally, until it starts to pop. Keep the pan lidded without peaking, though you can lift a lid a few millimetres every now and then to see the steam escape from the popcorn. You want the popcorn to pop as quickly as possible and the hot steamy lidded pan helps with this. 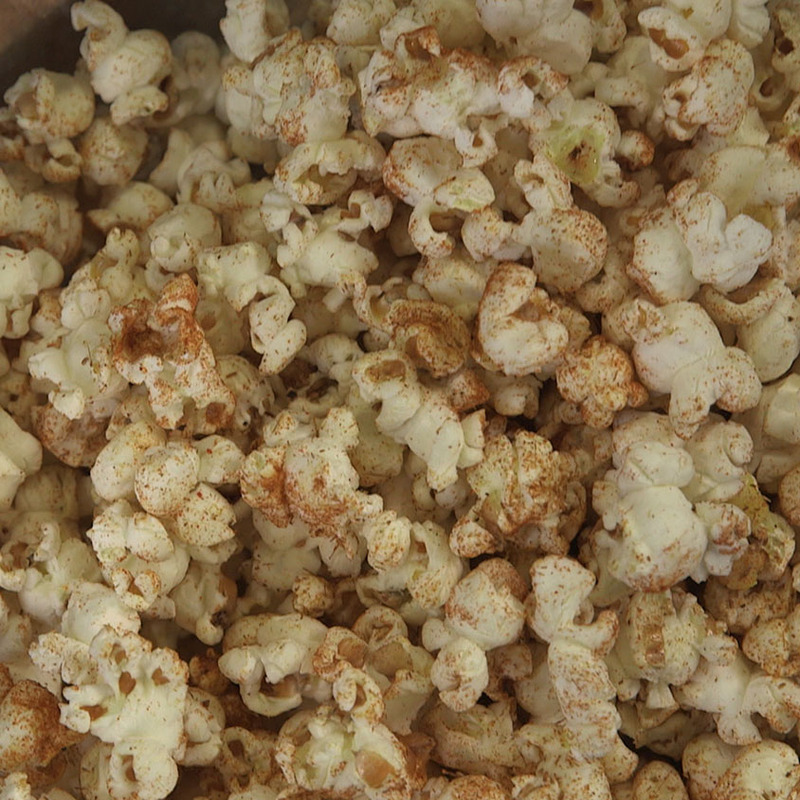 Once the frantic popping slows to 2-3 seconds between pops, remove from the heat and pour into a large bowl. Remove any unpopped or partially popped kernels you see.